TreePan’s story began back in 2012 when Iowa inventor Bill Brown put pen to paper and began designing a more efficient way for his sons to water and maintain trees on a local orchard. But the business really took off after a 6 week intensive course through the University of Iowa called Venture School! This past week we were invited back to the Iowa Venture School pitch competition called Surge Summit. There were a dozen teams gathered, with mentors, investors, and community members eager to see what new businesses were a part of the 2017 cohort. 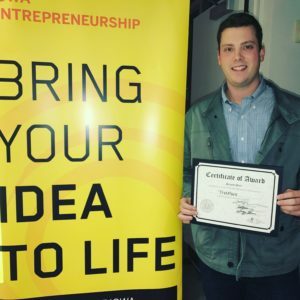 Our team was represented by Ben Brown as he “pitched” his business plan to a panel of judges to be critiqued on the company’s value prop, business model, go-to-market plan, and more. There were many different startups in attendance, from fashion products, to non-profit apps, there was something to interest and inspire everyone in attendance. Although this was not our first award, it was the first for Bill’s son Ben to pitch! We are happy to announce that TreePans was awarded second place at the Surge Summit for the alumni pitch group! Ben spoke about the improvements and accomplishments that TreePans have made since going through the 2015 cohort in Sioux City Iowa. You can watch Ben’s pitch here. With the money awarded for second place the team plans to expand on product development and marketing efforts! However, we don’t compete for the money…. we attend because of the amazing people involved with this program. We are always blown away by the people we meet through these events and this school. The knowledge and support from mentors, fellow business owners, and judges is second to none! We consistently meet people who push our business forward, propelling us on a serendipitous track towards success. One more meeting, one hand shake, one person who hears your story can help move the needle towards a being successful business and we are so grateful for all the doors and opportunities that Venture School has opened for us and our business! 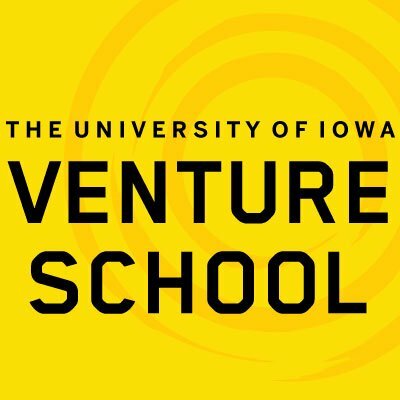 For any Iowan who has an idea, we encourage you to submit your business plan to Venture School. It is an amazing program with people who genuinely want you to succeed and will work their hardest to get you there. Don’t just take it from us, learn for yourself.